Blogging is fun. Many people love writing about what they are interested in. For example, writing about their favourite celebrities, something related to health and fitness, cosmetics and makeup, or even travel & photography. For this, sometimes they maintain diaries, or sometimes even a folder. And sometimes, people maintain their own blogs as well. But not many are familiar with a generic blog concept. That is, instead of creating a different website altogether, you can create your individual blogs on common websites like WordPress. Blogging platforms provide you with some necessary tools and functionalities, which you can then mix and match to create your own blogs. 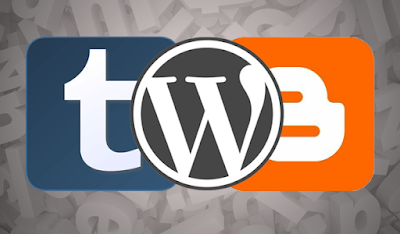 Here, we will talk about which are the best Blogging platforms for your favourite niche. Now since, there are multiple platforms available, how are you going to chose one? Don’t worry. We have a solution for that also. How to select a Blog? If you are a beginner and wish to write just for fun, you would like to go for something that is easy to use. And it should be having very less complexities. But if you are looking towards growing your blog with time, you may want to chose a blog that gives you this flexibility. Some platforms come with multiple options to chose from. You can start from the very basic, and then keep on growing it with more relevant topics and better presentation options. Many major companies today maintain their own blogs using these common platforms only. It is also one of the most preferred ways to earn money by writing about your favourite topic. This is by far the most common platform used by millions of people across the globe. It is the self hosted version of wordpress.com.It is not exactly beginner friendly but still the most popular platform on the internet. WordPress Powers over 10 Million Live websites today and the no. if increasing everyday. Many Celebrities like and Leading Business like Time Magazine & Huffington Post use WordPress. And a lot more. You can also create musical websites, with music rankings like Bestoftheyear.in provides for Indian Music. If you want to check out another very creative website built on this platform you can check billboard.com as well. Tumblr is a relatively easy to use blogging platform. Its meant only for blogging and you really can not do a lot of stuff on it. The pros of Tumblr are its free to use, and you don’t have to worry about hosting charges. You can also purchase a domain name directly from them. Amitabh Bachchan uses Tumblr for his personal blog. Not a lot of celebrities do, but some still like the look and feel of it. Tumblr is a good option to build Web 2.0 Sites for SEO. Weebly is a website builder, it is good if you want to build websites with static content and you are not going to change it a lot. Because, its user interface is very difficult to get comfortable with and not one of the most convenient ones. Wix is just like Weebly, but it doesn’t give you a website on the sub domain. It has a page builder which is much easier to use for the beginners. The Cost involved in upgrading to Wix.com’s paid plan is very high. Hence we would recommend using wix if you are an artist and want a cheap platform to showcase your latest work. An Excellent platform for beginners. The most-easiest to use. Its easier than all the 5 we have listed on this post. It makes blogging easier, and you can have your blog live in just 10 minutes with Blogger. If you plan on creating a news website, where you wish to report daily news like Sports, Bollywood Movies, Gaming, or anything. Blogger can help to create excellent websites, you can check out the layout of the box office news website here. All you need is a google account. But Blogger can not be used to create complex websites like ecommerce and similar. But its excellent for creating simple blogs. If you have a plan for a long term website, go with Self Hosted WordPress blog. If you want to create a personal blog, and you do not care about branding – then go with tumblr. If you want to create a website which’s primary content is only posts and you want to save on hosting, then go with Blogger.com.